Off-to-one-side! It’s the most talked of fashion silhouette for the winter season! 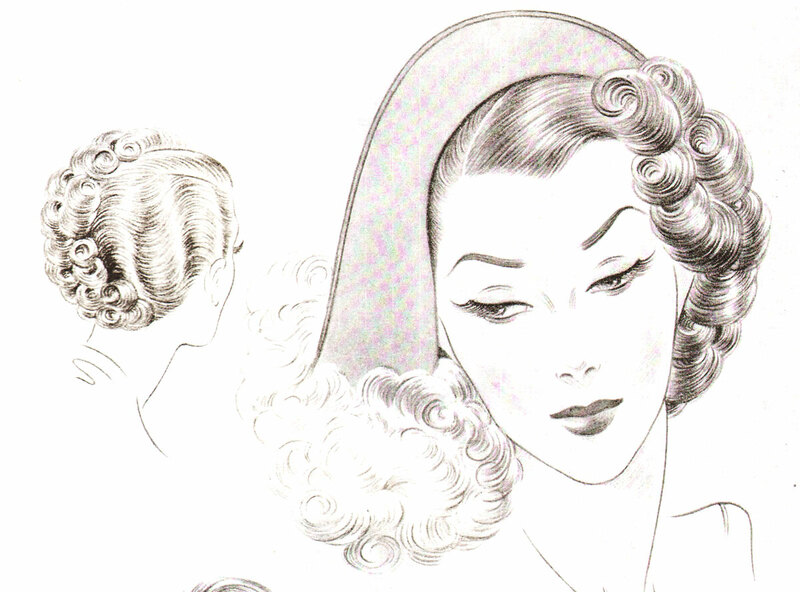 here are some of the new side-angled hats and their companion fashions in sideswept hairdos. The hats swing down on one side, and your coiffures must be created to fit them ! Here are some smart ideas for you to go on with. The profile hat of mustard felt interlaced with pink satin is called “Pink thread.” the brim dips over the flat side of the hair. On the other side of the head, the hair is swept into an over the ear wave. 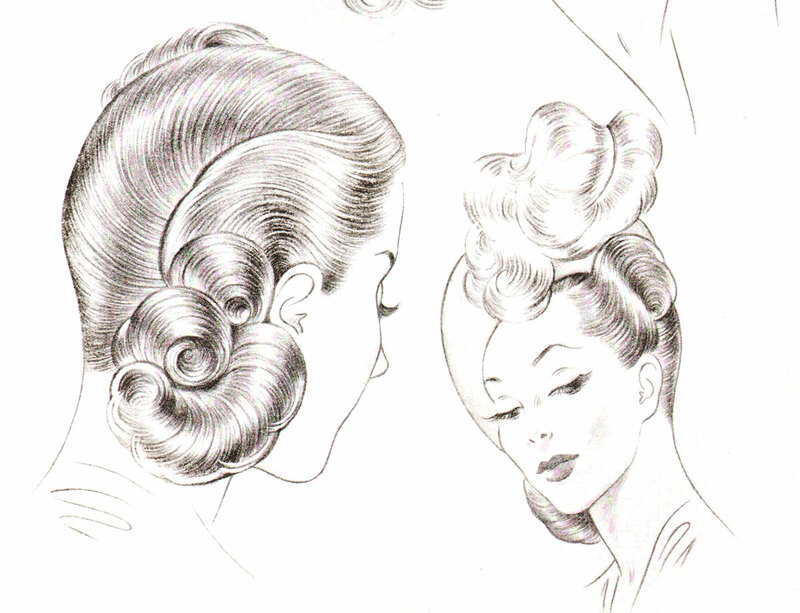 the smooth back strands are caught behind the ear with a comb, barrette or hair pin. Next, beneath brown swan, a viking hat of brown felt trimmed with a fluff of tan maribou, short waves and curls are swung off to the left from an angular part. the top hair is smoothly simple. Finally – “Midnight” is the name of this side-dipped hat of blue felt and blue ostrich plumes. 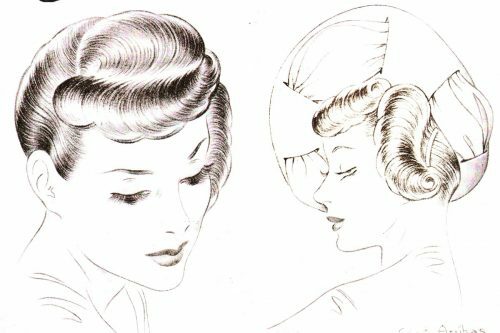 There’s a short wave in the hair on the left, and curls in a low coil cluster behind the right ear to show beneath the low-tilted hat brim. See the lavishly illustrated concise history of 1940s womens fashion now ! !